We couldn't do this alone... With the help of some very special people, we are able to continue to impact the lives of our youth. Our S.W.A.G. members serve in Miami-Dade monthly with the sole purpose of improving the community they live in by supporting those who are less fortunate. S.W.A.G. members are taught to take pride in their respective neighborhoods. 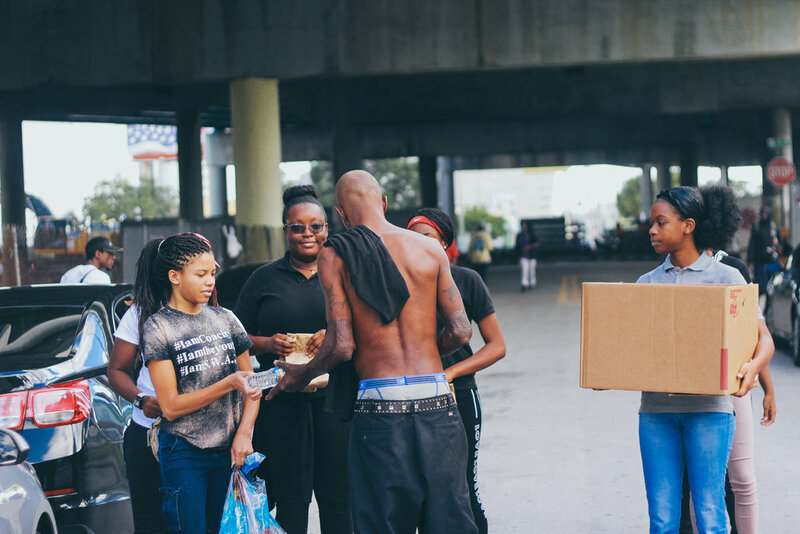 The students of S.W.A.G have made a major impact in the community by supporting other local agencies with feeding the homeless, community clean ups, toy & clothing drives, and breast cancer fundraisers. I really enjoy S.W.A.G. It has helped me prioritize certain things and know what’s more important in life. One thing I like about the club is not only do all members get along well, we give back to the community. There are many ways to help and we're always looking for volunteers to get involved. We are always appreciative of any efforts to help out S.W.A.G. Miami.